Is There A Future for Personal Flying? I used to be a pilot. Oh, I still hold a certificate that says I’m licensed to fly an Airplane, Single-Engine, Land (ASEL), but I haven’t done so in over a decade. As it turns out, not alone. Far from it. The latest figures indicate that we’re losing approximately 6,000 pilots per year in the U.S. In my case, the FAA is probably glad I’m among them. When I was still flying, the controllers in the tower at Wichita Mid-Continent Airport recognized my voice…or maybe it was my erratic style. They used to practice evacuation drills when I entered the pattern. I discovered they had a term for my landings: “Dribbling.” When they heard I was considering paying my flight instructor to give me a biennial flight review and sign me off to get back into the air, they took up a collection and paid him not to. When I asked him what he thought about an instrument rating, he recommended I consider the clarinet. But, the economics of being a recreational pilot have become almost prohibitive, anyway…and that’s a concern, because it also means learning to fly and owning a personal airplane is harder to justify, too. The average price of a general aviation aircraft nearly doubled from 2007 to 2010. Buying a new Cessna 172 will cost more than $300,000 and a new diesel 182 starts at $515,000. The Aircraft Owners and Pilots Association (AOPA) and the Experimental Aircraft Association (EAA) have endorsed programs to ease the medical requirements for private pilots, substituting a valid driver’s license in certain circumstances. AOPA has also recently issued guidelines on how to form a flying club and acquire a used airplane, with the intent of expanding the opportunities for dormant pilots like myself. The publisher of Av-Web, an industry on-line news service, launched an initiative to Rebuild, Restore, and Re-equip the GA fleet, updating restorable aluminum aircraft to modern capability at a price that is affordable. 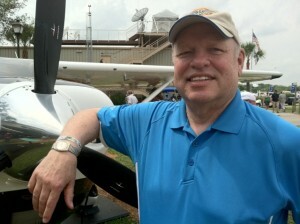 In more recent days, he’s also created a program to challenge current pilots and aircraft owners to issue an “Invitation to Fly” to their friends, neighbors, lapsed pilots and youngsters who haven’t paid attention to private aviation in recent years. Back in 2013, the Small Airplane Revitalization Bill was introduced by then-Congressman Mike Pompeo. President Obama signed it into law. It was designed to streamline the certification process and increase safety for production aircraft, potentially eliminating some of the costs associated with the introduction of new models. Savings were to be passed onto the consumers. Unfortunately, the market for the affected models—personally flown, primarily single engine airplanes—remained basically flat and any stimulation that might have been generated by a less cumbersome regulatory process was virtually neutralized by a lack of market enthusiasm. Locally, GlobalParts.aero tried to boost interest with a very interesting approach: they acquired the Type Certificate, intellectual property, tooling, and assets of the Meyers Aircraft Model 200. They offered their up-to-date servicing and support network for operators of the high performance single engine model which was originally certified in the 1960s. Though it was designed half a century ago, the Meyers 200’s performance, economy and versatility are still competitive in today’s market, too. But, GlobalParts.aero hasn’t been able to generate much enthusiasm, either and is now assessing ways it might utilize its innovative capabilities to expand the potential of this iconic, affordable, owner flown airplane. Yingling Aviation also took a creative approach. They acquired some 25-30 year old Cessna 172N Skyhawk airframes and completely refurbished and updated the airplanes so that they were virtually identical to the production model 172s rolling off the Cessna/Textron line in Independence. The Ascend 172 from Yingling is a masterfully reconditioned aircraft that is a viable alternative for flight schools, flying clubs and individuals who don’t have or want to spend close to half a million dollars for a four-place, 120 mile per hour single engine airplane. But, even though it’s priced at about half the cost of its current production offspring, the Ascend 172 hasn’t revitalized the market, either. All of the recent efforts to re-invigorate the lower end of the GA marketplace are laudable and deserve some consideration. But, none of them have come up with a way for the manufacturers to make money on personal airplanes. Cirrus and Piper have supplanted Cessna and Beech as the major producers of single engine piston aircraft, but even they can’t keep the cost of their products at a level that’s compatible with a middle class income. Simulators are taking a greater percentage of the training workload and older—and increasingly outdated—airplanes are being flown until they are forcibly retired by a lack of parts to keep them in the air. With the coming of the Next-Gen Air Traffic Control system and its requirements for ADS-B and digital navigation and communications capabilities, many of the legacy airplanes that are the staples of flight schools and flying clubs will also be grounded. In the not-too-distant future it’s likely 100LL burning aircraft will be grounded by regulations which restrict the use and availability of leaded fuel, too. what had once been the industry’s most prolific segment. Perhaps the answer lies in a joint effort among airframe manufacturers, home builders, and the government to create an environment—and aircraft—that can be used by prospective students who are inspired and excited about replacing the current generation of pilots who are retiring. It will take cooperation and some serious promotional efforts to convince the next generation to put down their devices long enough to consider taking the controls of an aircraft. We’ll also have to persuade these prospective aviators that they won’t be losing their jobs to robots and pilotless “Air Ubers.” Finally, as an industry, we have to agree to take a more serious and unified approach to preserving the aircraft, equipment, techniques and support structure that already exists. It’s worth it to keep many of our smaller local airports from becoming “bone yards” and both personal flying and “hangar flying” from becoming lost art forms. General aviation and its heritage are too valuable to lose. We must work together to keep it going. You might say it’s the “Wright thing” to do!